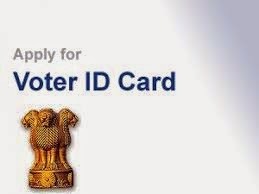 Having a VOTER ID card is very essential for every Indian Citizen. One has to 18 or above in order to apply for a Voters Id card. The voter ID card is one of the crucial document one must have. It is important for various legal documentation in varied government offices, but is primarily used as a ticket to vote. Obtaining a Voter’s card is no longer a humdrum. Now one need not be in long lines after the dominance of the E world. The process is now very simple and uncomplicated. Now there is no reason for any eligible citizen of India to not have a Voter Id. The Voters ID card or is also termed as Election card. Applying for Election card online is time saving and conducive. Other than waiting in the queue, the online process of registering for a Voters Id has many other benefits. One can apply for his/her voters Id whenever and wherever one wishes to. You can get your voters Id card delivered at your door step by post. Applying online shortens the time span of getting your card. Offline registration would take around 9 – 10 months, where as online would take you approximately a month. One can check his/her Voter Id status online, and is also eligible to get automatic updates of the cards status. The steps to register online for your Election card is as simple and pleasing one could think of. Every state has their own different website for registration. To make things very user friendly and easy to understand the websites are available in local languages of that particular state. Click on the tab, which mentions to Enroll for a new card. You would need to fill up few mandatory details i:e your E mail Id, mobile number and the state you belong to, obtain your user Log-in Id and your Password. After you receive your ID and password, you would have to log-in and enter your details. Search for Form 6 and fill up all your details correctly. One would have to attach his/her scanned passport size photograph. You will be re-directed to a confirmation page, wherein you will have to confirm the details entered by you. After this has been verified, you can submit your form. After all these process you will receive a mail on your registered E mail Id. You would receive a link, which will redirect you to your personal Voter’s Id page. Initially it was only the chief Electoral officer of every individual state that was responsible for online registration for Election card. Now both the Electoral commission of India and chief electoral officer (CEO) of each state are responsible for online registration of Voters ID card. 7 Komentar untuk "How to Apply for ["VOTER ID CARD Online"] - Information Guide | ECI Officials"
I got the reference id, which shows status submitted. How much time does it take to get the voter id or no.